June 18, 2012  The 25-year-old Simpson won the first major golf tournament of his career. 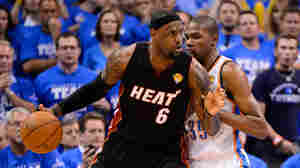 Meanwhile, LeBron James led the Heat past Kevin Durant's Thunder. 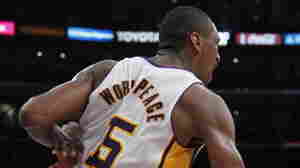 April 25, 2012  The basketball player formerly known as Ron Artest has been suspended for swinging his left elbow hard into the head of an opponent on Sunday. He'll miss the last regular season game and part of the playoffs. Is that enough? April 23, 2012  Previously known as Ron Artest, the NBA player will always be remembered for being at the center of a 2004 brawl in the stands at a game in Michigan. Sunday, he hit an Oklahoma City player with a wild elbow. 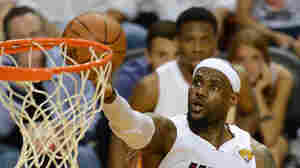 November 14, 2011  The decision means it's possible there will be no professional basketball until the 2012-13 season. The sticking point: Sharing of revenue. 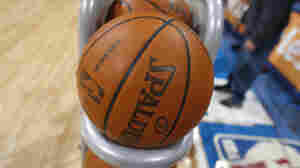 NBA Games Canceled: Anybody Care? October 11, 2011  Maybe there won't be many long-lasting repercussions from this battle between millionaires (the players) and billionaires (at least some of the owners) over how to divide millions of dollars. September 30, 2011  According to the AP, the 33-year-old Bryant will be paid $3 million to play about 10 games, starting in October. It's another sign that the NBA season is in jeopardy. Players have been locked out by a labor dispute. July 12, 2011  Sports fans' summer horribilis goes far beyond being a bummer. In fact, we're experiencing a rift in the basic compact, what one sportswriter calls "a sportspocalypse." July 1, 2011  Lawmakers in Minnesota are stuck on the issue of taxes. 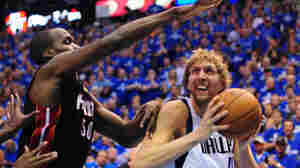 June 10, 2011  Led by Dirk Nowitzki, the underdog team from Dallas could win the NBA title Sunday night against the superstar-driven and heavily favored Miami team, which boasts the talents of LeBron James, Dwayne Wade and Chris Bosh. 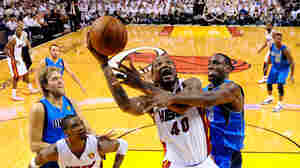 May 27, 2011  The tornado death toll in Joplin rises; three die in Atlanta storms; flooding in Vermont; Ratko Mladic to return to court; the Miami Heat defeat the Chicago Bulls and advance to the NBA finals. 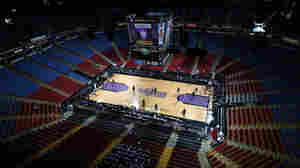 May 2, 2011  The Sacramento Kings of the NBA will be staying in California's capital for at least one more year after the team's owners pulled back from suggestions that they could move the team to Anaheim, California. Do White Sports Fans Require A White NBA Star? 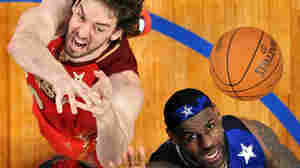 February 22, 2011  Is it possible for white Americans to embrace an NBA that lacks a white American superstar? Buzz Bissinger says no; Kevin Blackistone says they already have. But that's not all they said — the two sportswriters debated the issue on NPR today. December 20, 2010  The NBA has purchased the New Orleans Hornets from majority owner George Shinn and minority owner Gary Chouest. Shinn founded the team in Charlotte, North Carolina, in 1988 and moved it to New Orleans in 2002. 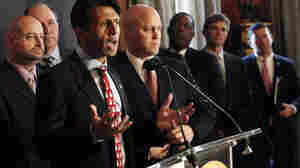 December 13, 2010  Government and business community leaders came together in New Orleans on Monday to rally support for keeping the NBA's Hornets in the Crescent City.